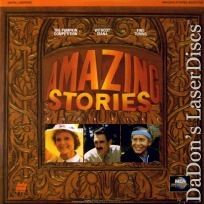 Amazing Stories Book 5 1985 - 73 min. 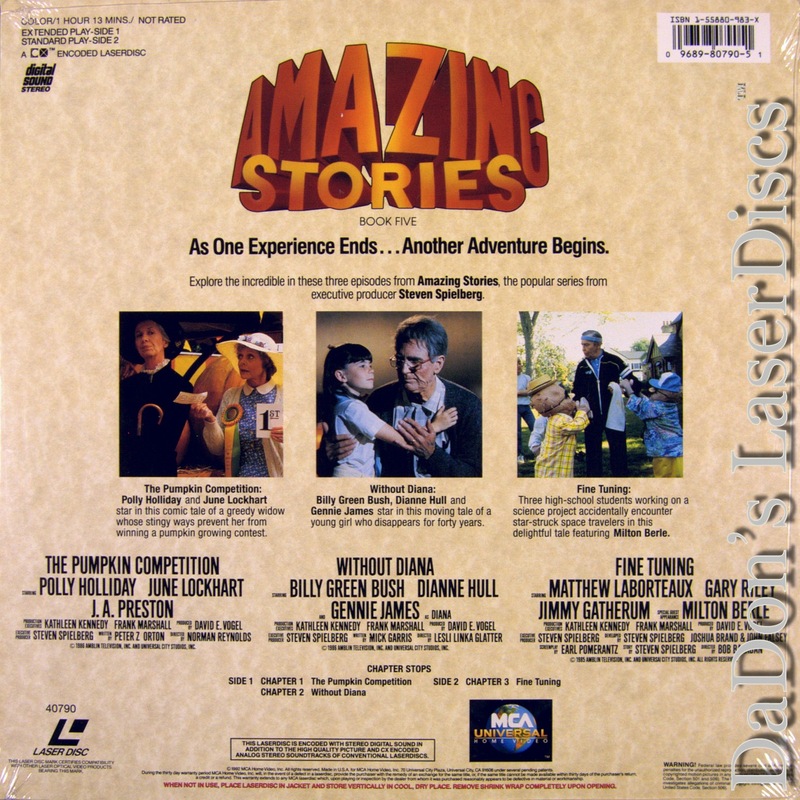 - Color Genre: Comedy Not Rated Country: USA LaserDisc Movie Review: Here are more tales from the Spielberg-produced TV series, Amazing Stories. Included in Book 5 are: "The Pumpkin Competition," "Without Diana," and "Fine Tuning." 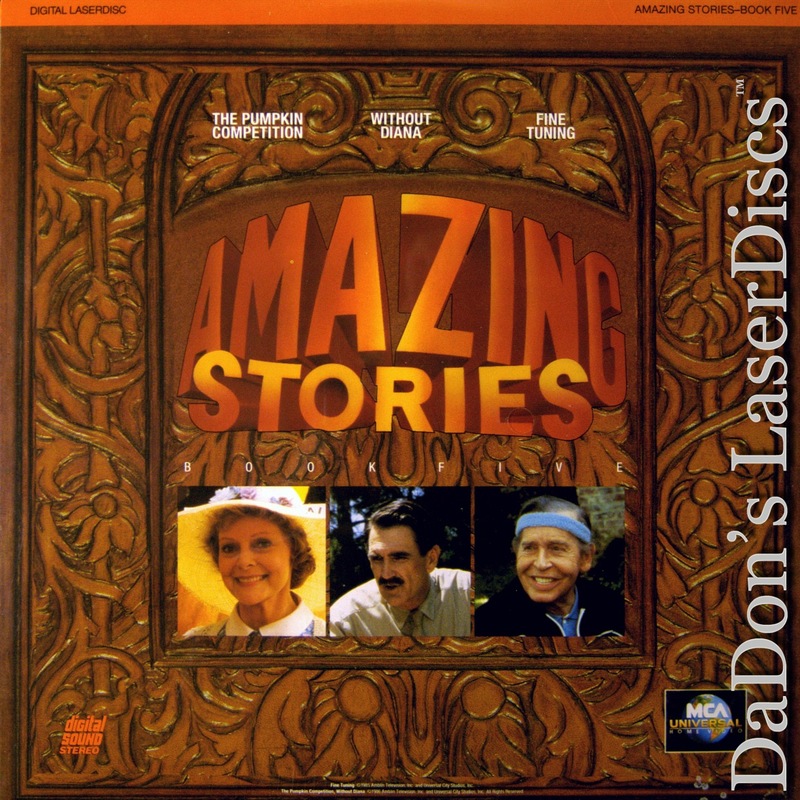 --- All Movie Guide Thanks for Visiting DaDon's Rare LaserDiscs ! Reviews, Articles, Newsletter and Information for Movies on LaserDisc LD Laser Disc, LazerDisc.